Individual life course trajectories across generations to investigate early life conditions, adulthood, partnership, family formation & divorce. Sam Jenkinson – ESR7: Linking individual lives in intra-intergenerational longitudinal perspective. University of Leuven, Center for Sociological Research, Family and Population Studies. Research papers on individual life courses in intra-intergenerational longitudinal perspective, including early life conditions, adulthood, partnership and family formation, occupational careers and retirement. 7.1. Concepts and techniques for individual record linkage. Algorithms and relevant syntaxes to construct intergenerational life course trajectories from original or IDS-converted multi-level and multi-source databases. 7.2. Research Design: PhD research design and work plan to carry out PhD research. 7.3. Methodologies and techniques for the longitudinal analysis: harmonization and transformation of historical data sets (1). 7.4. Methodologies and techniques for the longitudinal analysis: harmonization and transformation of historical data sets (2). Sam Jenkinson studied history and politics at the University of Glasgow before going on to study a masters in economic history at the University of Lund. 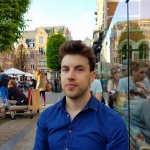 As part of the LONGPOP project he now works at the Family and Population Studies group at KU Leuven as a PHD student. His project is entitled Linking Individual lives in intra-intergenerational longitudinal perspective. His PHD research looks at the determinants of diverse life course patterns through the opportunities provided by big data. He looks specifically at the various and changing forms of family formation and particularly at lone parenthood and its consequences in the context of economic insecurity, well-being and growing inequality.